The day begins after the bride and groom and their bridal party have all had their hair and makeup done the boys travel to where the girls are getting ready to start with the door games. This usually happens early in the morning and provides for some early starts for weddings. While the boys are all relegated to being outside the front door the bridesmaids try to extract as much money as possible from the groom in order for him to have a chance to see his bride. Sometimes hundreds or thousands of dollars are required for the groom to have his opportunity to see the bride leading to the next event. Once the maid of honour has determined enough money has been given she allows the next segment to begin. During this tradition the bridesmaids have come up with different challenges the groomsmen and the groom have to complete in order to gain access to a first look of the bride. We have seen some really interesting games over the years from strange yoga poses, to imitating group photos found online, to waxing the legs of the guys, to picking balls out of freezing cold water with only their toes. All of these are designed for humour and laughter and in the end they are all fun and games. During this time the bride is dressed in her traditional red wedding gown. These beautiful decorated and embellished with wonderful beading and details. They are works of art in cloth. During the day they wear this dress on several occasions and though most are traditionally red, we have seen some which are green and blue. I love the contrast of these colours against the skin as when paired with the right lighting these portraits are stunning. The gown usually makes an appearance later in the evening as well. The partying which takes place when the DJ is controlling the dance floor is done by the bride in her red gown. The tea ceremony is one of the most beautiful traditions in the wedding as the bride and groom honour their family and friends by presenting tea to each of the couples who make up their family one at a time and the friends and family give back a red envelope filled with money and some of them present gold jewelry to the bride as well which she is to wear along with her traditional dress. I love how important the family is to the couple on their big day. Of course there is the most important part of the day and the saying of the I do's along with the first kiss. This is a tradition in many weddings and the point where man and wife become one. In more lavish weddings the bride will sometimes have 7-8 wedding dresses they will change into throughout the day. The different dresses convey different aspects of the bride's life as well as demonstrates their affluence to their guests. Lucky money is given to the vendors and others involved in the wedding and the thought is with a blessing of money in a red envelope will allow for more luck to the bride and groom in their married life together. Red envelopes are present throughout the wedding day, during the tea ceremony, lucky money and different gifts are all placed in these decorated envelopes. Gold jewelry is that which goes with the dress and is given as gifts by the parents of the bride and groom to show the wealth of the parents as well as their love for their children. Something that sometimes becomes a challenge when you have a guest list of 450 is having a photo with each of your guests. It is respectable and expected that each person who attends the wedding gets a professional photo with the bride and groom. This is sometimes done at the entrance to the reception, sometimes as table shots, and sometimes a photo booth is employed to capture these photos. I too believe it to be very important to the bride and groom to get a photo with each of the guests. 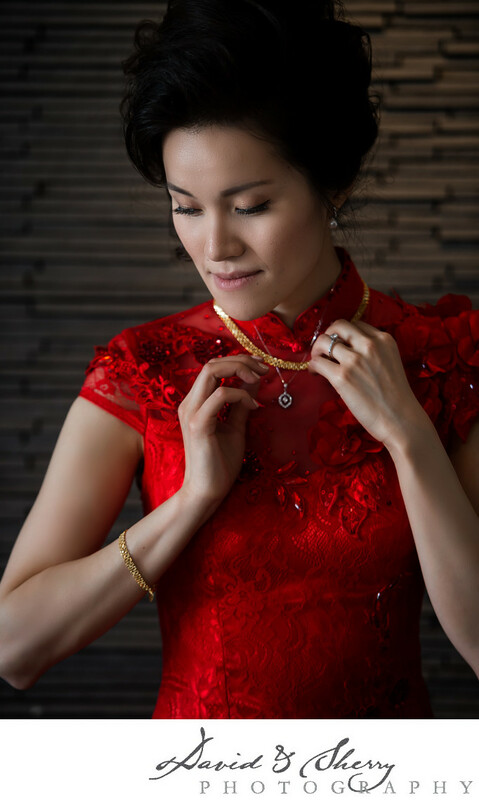 We love photographing Chinese weddings in Vancouver as they are some of our favourite to shoot and would love to do so in Vancouver, North Van, Surrey, Burnaby, Langley, Abbotsford, or on Vancouver Island. Wedding photography to us is fun. 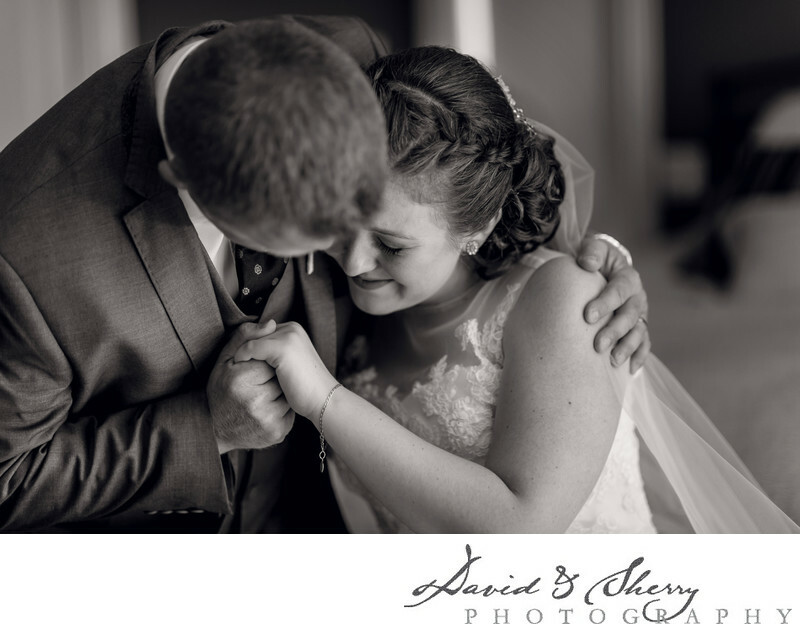 We love capturing each and every portion of the day and weddings provide for us ample opportunities to capture moments and emotion and it is exciting to us to be a part of that wedding day and have a little hand in how it will be remembered for generations to come. The pictures will be passed on to children, grandchildren and maybe great grandchildren and these photos allow them a window into your life and the lives of the parents, grandparents, groom, bride, bridesmaids, groomsmen, as well as some of your tastes such as the design of your wedding gown, your choice in florals and decor, whether you wanted a lavish affair or a simple one. All in all as those who will come after you flip through the pages of your beautifully designed hand made Italian leather album they will get a glimpse of family history that no amount of ancestry.com will show. Have us capture everything from your door games and tea ceremony, to beautiful pics of your red dress, to lucky money, I do's and lighting of the lanterns after your first dance as husband and wife. David & Sherry are wedding photographers in Vancouver, B.C.